Most new Toyota vehicles, model year 2003 and newer, come equipped with a tire pressure warning light that turns on when it senses a change in tire pressure. Tire pressures are most likely to fluctuate with rapid and drastic temperature changes, which in Vermont, tend to fall around the seasonal changes. The TPMS, Toyota’s Tire Pressure Monitoring System, is installed on the valves of your tires and is designed to provide a low pressure warning for all five (that’s right, five) tires on your vehicle. The most common trigger for the warning light is low pressure in the vehicle’s spare tire. Most customers are unaware that their spare tire also comes equipped with a tire pressure monitor, and the TPMS is only installed on full-sized spares, not donut spares. The light may also turn on when a tire is punctured, warning you of a flat before it happens. If you’ve checked all five tires and they’re all correctly inflated and there are no puncture marks, it is possible that your TPMS is damaged and/or malfunctioning. A damaged TPMS can be caused by improper inflation or damage during a tire mount and balance, most often when it is performed by a technician who is unfamiliar with the system. If you feel this is the case, make sure to call or stop by Heritage Toyota Scion and our staff will gladly diagnose the problem for you and if necessary replace the faulty sensors. In a few short weeks, a group of employees and friends of the H-Team will take the plunge, the Penguin Plunge. Heritage Automotive has participated in and sponsored the charity event for Special Olympics Vermont for the past few years and this year is no different, but we are taking the fundraising a little further. Along with the sponsorship, Heritage Automotive Group will donate an additional $1 for every Facebook “like” we receive in January, up to an additional $1,000! We have two Facebook pages, so you can “like” them both and donate $2! Our Heritage Toyota Scion Facebook page is here and our Heritage Ford Facebook page is here. 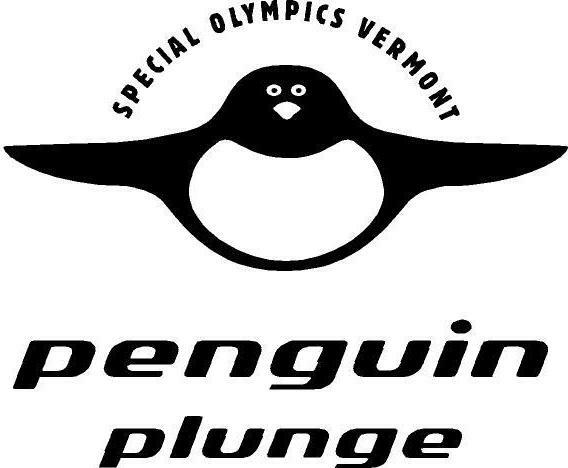 To learn more about the Penguin Plunge and how to get involved click here. This past August, the state of Vermont was shaken by Hurricane Irene. Days before the hurricane drenched the state, nobody predicted the wreckage it would leave behind; nobody knew that Vermont was about to experience the worst flooding that state has seen in 83 years. When the waters receded, the central portion of the state was left absolutely devastated, and the residents needed and continue to need our help, support, and donations. Heritage Automotive Group and Mount Mansfield Media teamed up to create a video explaining the effects of Irene in hopes of raising money for Rebuild Waterbury, a nonprofit created to assist residents of Waterbury and its surrounding areas. It is with the debut of this video that Heritage Automotive Group is proud to announce that we will match every donated dollar to Rebuild Waterbury, up to $10,000. It is these hard times that it makes us all so very proud and happy to be Vermonters; we are Vermont Strong. To donate to Rebuild Waterbury, go here. One of the most mystifying portions of the car buying process for customers is when a salesperson values their car for trade in. Most customers are left wondering “How did they get that number?” It doesn’t have to be such a mystery. Clean your car – Dirt caked on the exterior could be hiding body or paint damage. The appraiser can’t clean it, so they’re going to assume the worst case scenario and deduct $300-$500 to cover any “surprises”. Fix windshield cracks and chips – Most insurance plans cover this at no cost to you, but it costs a dealer upwards of $600 to fix, and they dock that from your trade offer. Know your car’s mechanical issues and their severity – A rattle or check engine light could mean a multitude of things. A dealer will protect their interests, which could mean deducting anywhere from $300 – $1000, unless you can tell them what the rattle or light really is. Then they only dock the cost of that specific repair. Bring everything – Bring your spare keys, extra sets of tires and a Carfax Report, if you have them. The more information the appraiser has the less they have to guess. Additional items, like an extra set of usable tires, also raise the resale value. Don’t withhold information – Hold your trade to the same expectations and honest evaluation you would when you shop for a car and you’ll walk out with the most money. One of the questions we’re often asked is how to reset or turn off the maintenance required light. On a newer model Toyota, the maintenance required light turns on every 5,000 miles to remind you of an oil change and tire rotation; however, many new cars use synthetic oil that only needs to be changed every 10,000 miles. Ergo, every 5,000 miles, a better-safe-than-sorry reminder light pops on, and driving to the dealership to have a technician reset the light may be hassle, so we wanted to share how to reset this light in the convenience of your own driveway. Remember, the light also comes on to remind you of a tire rotation which should be performed every 5,000 miles. With those instructions, we hope that you’ll be able to reset this light if you choose to do so. If you feel uncomfortable doing this or are unsure why your light has turned on, please do not hesitate to call or stop by Heritage Toyota Scion.